“I’m as mad as hell and I’m not going to take it anymore!” I borrowed that line from the movie “Network” because it fits the mood today even better than it did back then. I’m mad as hell because income inequality continues to be a drag on our economy. Now LensDoctor wants to do something about it. I for one am so sick of all the corporate greed out there and I’m making it my mission to change corporate culture. I will lead by example and do what needs to be done. Back in the day, a person could get a high paying job without a college degree. We weren’t rich, but at least my Mom didn’t have to work. She could stay home and raise us kids. Life was much better back then. Today, high paying-low skill jobs are long gone, never to return again. Mom and Dad both work and their combined income is lower than it was 10 years ago. Sad but unfortunately it’s true. I’m mad as hell because “The Man” shipped the good jobs overseas and downsized domestically in order to return value to investors. “The Man” has been very, very successful. Some suggest we should go to college, but not everyone is college material. Besides, in case you weren’t paying attention, household incomes have dropped. For most of us, this has made getting a college degree a dream along with home ownership. Meanwhile, the stock market hits new highs, banks still aren’t lending money and the average American is worse off than ever. Our government and big corporations want us to be poor. Poor people they can control. Raising the minimum wage might sound good to the fast food worker but what they aren’t thinking about is how the business world would deal with that. Will they cut your hours, will they raise prices or what? One thing for sure, they aren’t going to lose money to benefit us and you can count on that. 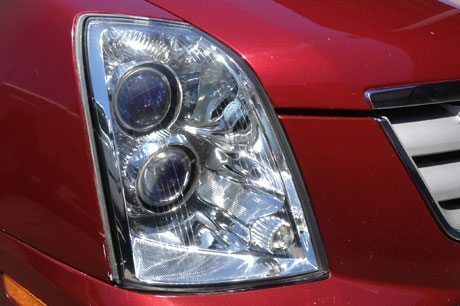 LensDoctor’s patented headlight restoration / cleaning service has the potential to do something that could make a difference. A franchise opportunity without all the franchise fees! Working together towards the common goal of financial security, we can make a better life for ourselves. Imagine a franchise with no franchise fees… only a promise to purchase product. Not some overpriced, untested crap, but the same high quality products I use everyday at the lowest prices you will find anywhere. How about free advertising for your start up or free support from the only company that has been inches away from headlights for 14 years. LensDoctor® got through the Great Recession because of my commitment to quality. The hacks went bye-bye. If any of this makes sense to you then we should talk. Don’t miss out on this opportunity to be a part of something good. Maybe we can start a movement and take back our dreams. “The Man” isn’t going to do it for us. It’s time for us to take charge. Are you with me? I'm mad as hell because income inequality continues to be a drag on our economy. Now LensDoctor wants to do something about it.